MADCAP ENGLAND 'THE VELVET BREED' RETRO SIXTIES MOD MENS DOUBLE BREASTED VELVET JACKET (Blue). A striking Mod Clothing masterpiece, 'The Velvet Breed' combines Sixties Mod style with an effortless Indie edge. Luxurious velvet Mens Double Breasted Jacket with unrivalled Retro credentials. 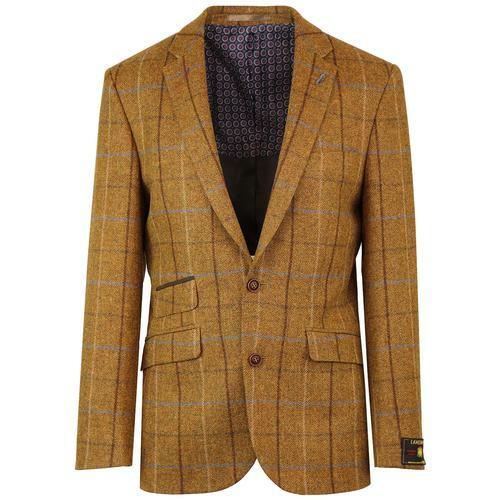 The ultimate Mens Retro Dandy dress jacket. 'The Velvet Breed' is primed for Sixties Psychedelic Happenings - by Madcap England Mens Mod Clothing. 'The Velvet Breed' Retro Sixties Mod Mens Double Breasted Jacket by Madcap England in a brilliant blue colour way. 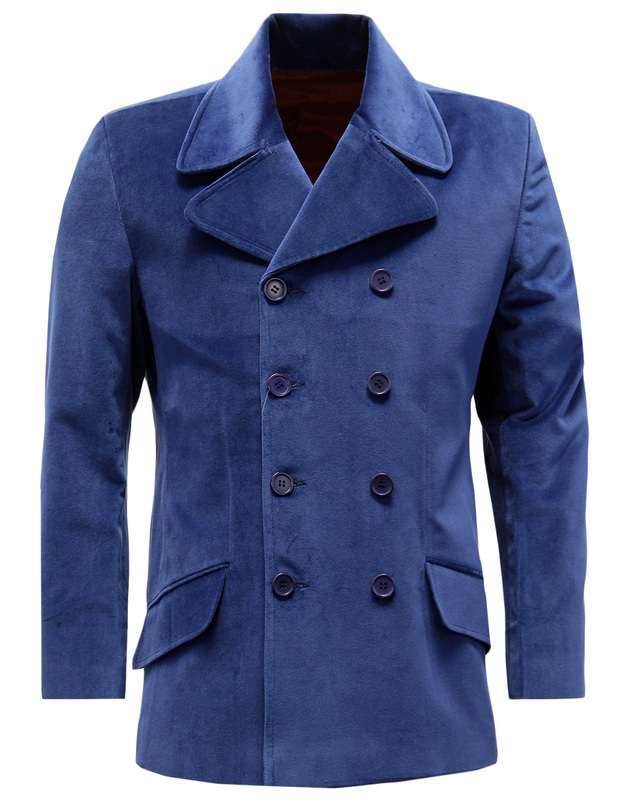 Inspired by Brian Jones, 'The Velvet Breed' is a stunning luxurious Blue velvet Mens dress jacket with Sixties Dandy style. With Retro Seventies influenced rounded peak lapel, oversize collar and four button fasten. 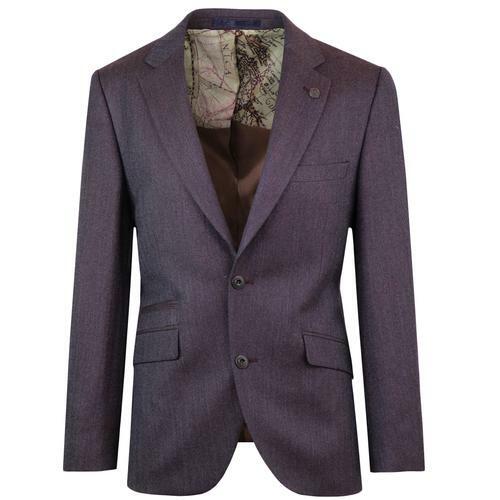 Two flap pockets to sides, contrast burgundy lining and button detail to cuffs. Classic Psychedelic Sixties Mod outerwear at its best. Can be dressed up or down - looks great worn as part of an extrovert Mod ensemble or with T-shirt and Jeans for the complete Indie look. 'The Velvet Breed' Retro Mod Double Breasted Velvet Jacket by Madcap England Mens Clothing. 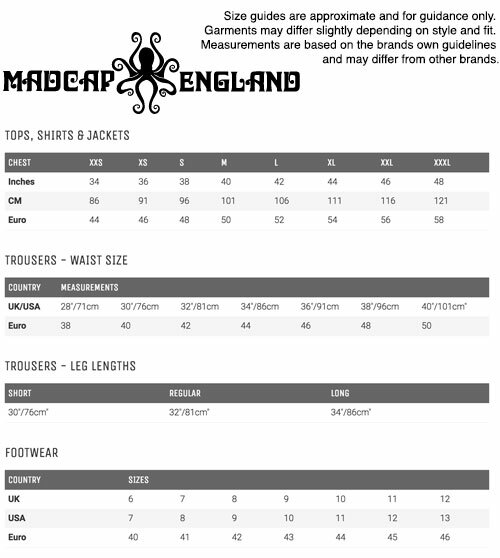 Madcap England introduce 'The Velvet Breed' Retro Indie Mod Mens Double Breasted Jacket. The pinnacle of Mod Mens fashion. 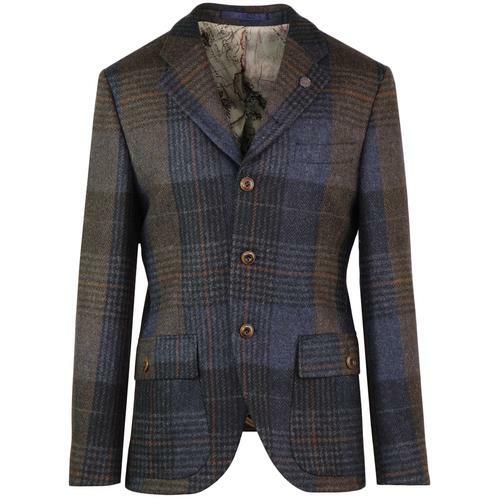 MADCAP ENGLAND 'THE VELVET BREED' MENS RETRO SIXTIES DOUBLE BREASTED MOD BLAZER. 'THE VELVET BREED' MENS RETRO SIXTIES MOD VELVET DOUBLE BREASTED BLAZER JACKET - Mens velvet double breasted jacket in blue with rounded lapels and oversize collar detail. Four button fasten, two flap pockets to sides and centre vent to reverse. 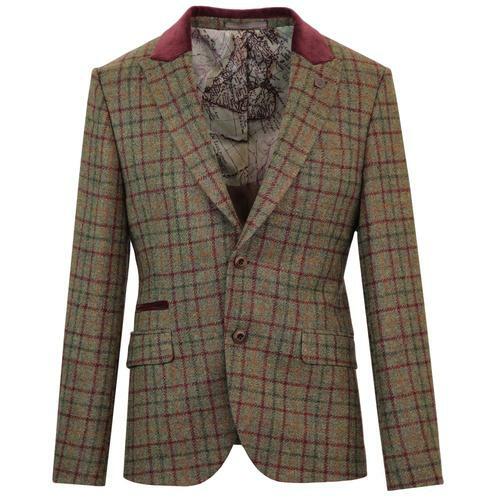 Stylish contrast burgundy lining, buttons to cuffs. SKU: MC71 'The Velvet Breed' Madcap England Velvet Double Breasted Jacket. 'The Velvet Breed' Mens Retro Sixties Mod Velvet Double Breasted Blazer Jacket (Blue).